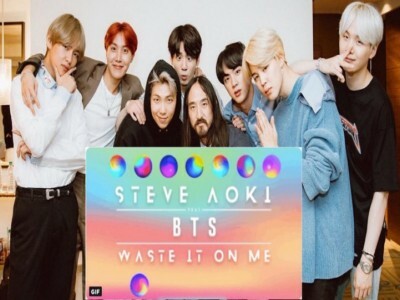 “Waste It On Me” is an EDM track from Steve Aoki’s album Neon Future III featuring South Korean group BTS, specifically RM from their rap line, Jimin and Jungkook from their vocal line. It’s the first track the group has partaken in that’s completely sung in English. “Waste It On Me” was first teased on a billboard in Hollywood, which initiated the Great BTS Billboard Hunt. Everyday a new element was added to the billboard until it eventually announced the new single. The song debuted at No. 1 on the iTunes Chart in 66 countries including the US, the UK, Australia, and Brazil.